Researchers are studying the role of the BubR1 protein and cellular senescence in adult stem cells. Cellular senescence is the condition where a cell loses its ability to divide. Although they are no longer able to replicate, these cells are still metabolically active. Senescent cells are cells that are attributed to aging. They are associated with features such as wrinkles and dry skin. 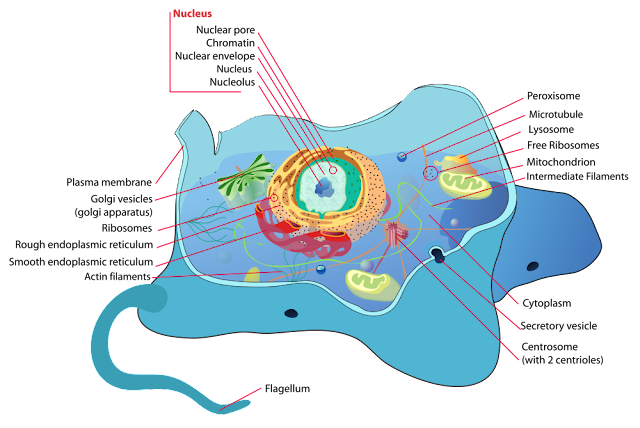 Some cells become senescent after undergoing fifty cell division cycles (called the Hayflick phenomenon) or through other factors such as harmful toxins or damage to its DNA. For DNA related cellular senescence, the ends of DNA strands that shorter and shorter after each cell division. Once the ends called telomeres are used up, the actual genetic strands get damaged. This is when the cells stops dividing. Senescence is an irreversible process and scientists are studying this phenomenon in relation to aging and the growth of cancerous tumors. Studies show that when senescent cells are purposely removed, it can prevent or delay tissue degradation and extend the healthspan of the body. Declining levels of the protein BubR1 occur when both people and animals age, and contribute to cell senescence or deterioration, weight loss, muscle wasting and cataracts. Mayo Clinic researchers have shown that adult progenitor or stem cells -- important for repair and regeneration of skeletal muscle and maintenance of healthy fat tissue -- are subject to cellular senescence, and that clearance of these cells limits age-related deterioration of these tissues. The findings appear today online in the journal Cell Reports. BubR1 is an essential part of the mitotic checkpoint, the mechanism controlling proper cell division or mitosis. Without sufficient levels of BubR1, chromosomal imbalance will occur, leading to premature aging and cancer. Using mutant mice that expressed low levels of BubR1, the researchers found development of dysfunctional tissue with impaired cell regeneration. In analyzing the progenitor populations in skeletal muscle and fat, they found that a subset of progenitors was senescent and that the tumor suppressor p53 was acting to prevent this from happening through activation of p21. "Earlier we discovered that senescent cells accumulate in tissues with aging and that removal of these cells delays age-related functional decline in these tissues," says Jan van Deursen, Ph.D., a Mayo Clinic molecular biologist and senior author of the study. "The key advance of the current study is that the progenitor cell populations are most sensitive for senescence, thereby interfering with the innate capacity of the tissue to counteract degeneration." Not only do the findings contribute to knowledge on cell senescence as it relates to aging and related diseases, but understanding the mechanisms may lead to future therapies, say the researchers.